It’s no secret that this blog is still new and tiny. I just started blogging on Simply Amanda earlier this year and only started to take it more seriously recently. I dabbled in blogging on free platforms last year but then I made the big decision to start fresh and buy my domain name back and I haven’t looked back since. Not too long ago my blog had hardly any traffic. I was lucky if I even got 20 pageviews a day (or any at all!) But just in July, I was able to finally break into the 1,000 mark of pageviews. I started my blogging journey originally as an outlet to share my love of makeup and all things beauty. And an email list? Pfft, that was not even a thought when I first started. I had no clue what I was doing — just going along writing posts without a real plan. And I still don’t know what I’m doing at all. But I’m learning new things every single day. I decided to do a ton of research on how I could grow my blog traffic, but it’s hard to find posts about smaller new blogs and their efforts to boost their blogs. You always see posts out there with outrageous numbers like how they gained 100,000 pageviews in their first 3 months of blogging or something totally crazy like that. Throughout my research, I learned SEO, worked to improve my photography and writing skills and toyed with the idea of niching down. I joined a few Facebook blogging groups and signed up for email courses on bringing in traffic for new blogs. In the month of July, I managed to go from 804 pageviews the previous month to 1,852 pageviews. Now I know this may sound like nothing and some blogs get that in a day, but I was blown away that by focusing more on my blog promotion and trying new things to bring in traffic actually worked. I’m a small new blogger and I actually more than doubled my pageviews! I could not believe that this was possible. I didn’t have many blog posts, I had a small social media following and a small email list in the double digits. But I decided to dream big and set this goal after being inspired by one of my favorite bloggers — Sheila of In Search of Sheila. She wrote a post on how she tripled her traffic in 30 days and it inspired me to work towards doubling my traffic on Simply Amanda! Psst. Haven’t started your blog yet? Siteground is currently offering $3.95/mo for their first blog hosting plan! Click here and use my affiliate link (at no extra cost to you) to snag the deal and get started on your dream blog! The first thing I wanted to do was try out automation for my Pinterest account. I signed up for the free trial of Tailwind (click this link to get your first month free!) to schedule my pins. Tailwind is usually $10/month so I jumped at the chance of being able to try it out for free. I went through and picked out the pins I wanted to schedule ahead of time and to which boards and Tailwind automatically posts them for you. I got to schedule 100 pins for free! Tailwind helps you keep a constant presence on Pinterest but pinning for you throughout the day. I loaded it up for the 100 pins and just let it run its course. It spreads out your pins and gives you insights on how your pins are doing. By using Tailwind, I was able to crack 500 followers on Pinterest! 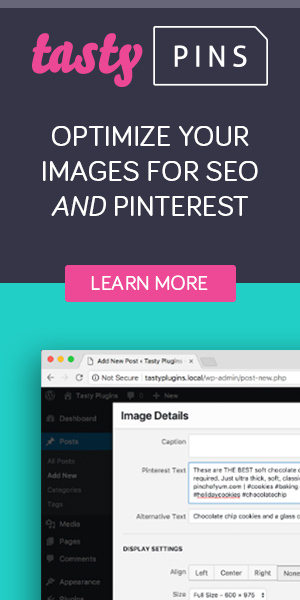 I was impressed with it and really loved the easiness of being able to automate my account since the majority of my traffic comes from Pinterest. Next up, I’m going to try out BoardBooster for Pinterest and I’ll come back with a review on how that one worked out! I also signed up for Buffer and this definitely contributed to my traffic growth too. Although I did try out their Pinterest automation trial too (just 7 days), the main thing I am using Buffer for is automation for my Facebook and Twitter accounts. This has been such a lifesaver and has saved me a bunch of time. I use it to post on my Facebook page whenever I publish a new post and I have it tweet throughout for me during the day. Especially if I’m going to be busy at work that day. I do have to work on remembering to load it up after it runs out of content, but it’s such an easy platform to use and I will be using it more often in the future! I joined quite a few Facebook groups for bloggers in the past, but all I did was read posts and learn things from it. I recently started actually promoting my own content on these groups (when allowed) and it has done wonders for my blog. It brings in a little less traffic than Pinterest, but they are pretty neck and neck! On the blogging groups, I mainly share my new posts about blogging and then on beauty groups, I share my beauty reviews. It’s brought it quite a bit of traffic for me as well as followers on Instagram. Want to join my private VIP Facebook group for blogger babes? Check it out here! Another platform I played around with was StumbleUpon. I had heard of it before but I had no idea how it worked. It was pretty confusing at first because I didn’t understand what the purpose of it was. StumbleUpon is a website where you give them your interests and they randomly show you websites and blog posts related to your interests. You basically “stumble upon” new content and you can either give it a thumbs up or a thumbs down so StumbleUpon knows what you like and don’t like. When I joined, I stumbled for bit and then I submitted my own blog posts afterward. It brought a ton of traffic for my blog in one day and kept a lot of people on my blog. I was able to gain some new email subscribers from this which was awesome. I am still working on learning more about this platform and how to be more successful with it. Besides posting my own content, I also submit content from some of my favorite bloggers as well. I definitely recommend trying it out, but don’t just join and submit your work like crazy or it can get you in trouble with StumbleUpon for over-promoting yourself. July 2018 UPDATE: Stumbleupon was a HUGE game changer for bringing in traffic, but unfortunately it recently shut down. Last but not least, I became more active on Twitter. I followed many bloggers on there and began engaging with their content through retweeting and replying. It gained a quite a few followers on Twitter and it has brought in a good amount of traffic — however, not as much as Pinterest and Facebook. I am going to work on writing more tweets rather than just replying and retweeting! But it has given me a great boost on traffic in the month of July. In August, I hope to be more active with my newsletter and bring in more email subscribers as well. These 5 strategies all together helped boost my blog traffic to 1,852 pageviews in just 30 days! Even though this blog is still tiny, I can’t wait to keep looking for new ways to double or triple these pageviews in the coming months. I hope to have an awesome, successful blog in the future! What are some of your favorite strategies to bring in more blog traffic and pageviews? This is a nice article. So many of these types of articles are poorly written or don’t explain what or how they go their results. You clearly and concisely explained everything. I am going to use some of the strategies you did to boost my new blog. Thanks! Awesome! Would love to know if any of these tips help you out with your blog in the future! Great post…I also realized that responding to other bloggers helps as well ! Great advice for someone like me who has just set up a blog in the last week. Your explanations of the various ways to increase traffic are just what I needed. Thank you. Love this ❤️ Great advise and I will definitely try to apply those to my blog. Do you post in boards? Thank you! Great question 🙂 I pin on average about 20-25 pins a day with a pin scheduler. The majority of the pins get posted to group boards and once a week I might go in and do some live pinning from time to time. I like to use the 80/20 rule for pinning. 80% of the pins are other people’s and about 20% are mine. Hope this helps! Hi Amanda thanks for this advise. We’ve been looking for articles like this and really glad we found yours. Hopefully, we will gain more traffic from now on. We will definitely follow your list. Great post! I have never even heard of buffer so I’m definitely going to look into that! I just recently discovered Stumbleupon myself and am amazed at how much traffic it can bring to my blog. Thanks for some great tips! !